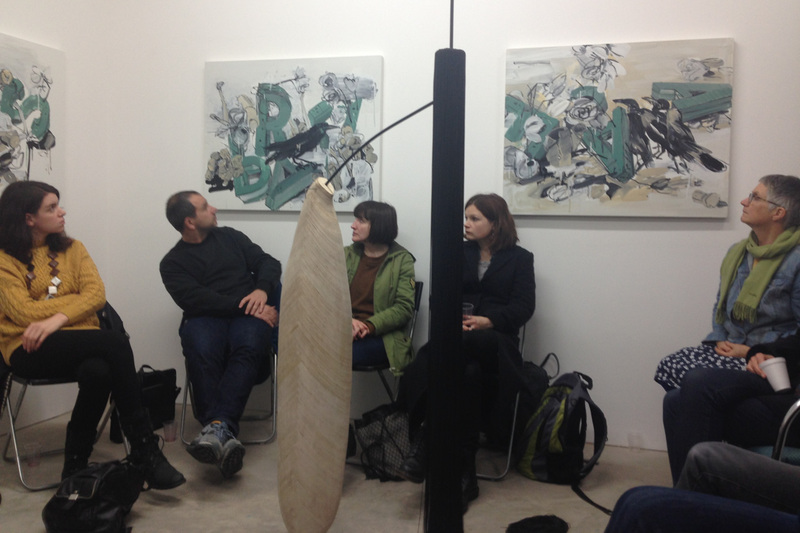 Dexter Dymoke & Susan Sluglett presented works in a 2-person exhibition titled Pastime Paradise. 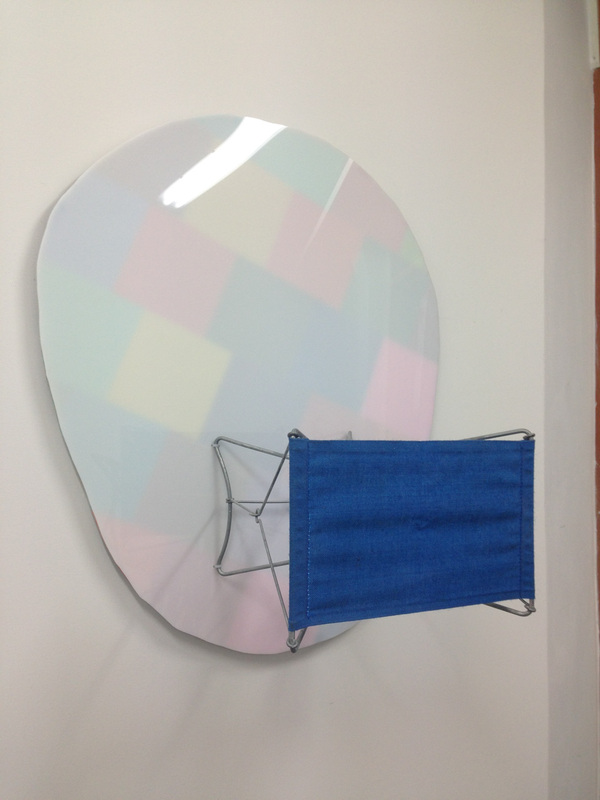 Dexter Dymoke presented 3 sculptures; Visitor (bent metal, ply with a concrete base), Source (metal framework, curved ply shape and string) and Head (wall-mounted, perspex with a folding stool). The conversation centred on the materiality of the objects and their use of found materials (readymade) vs purpose-built. 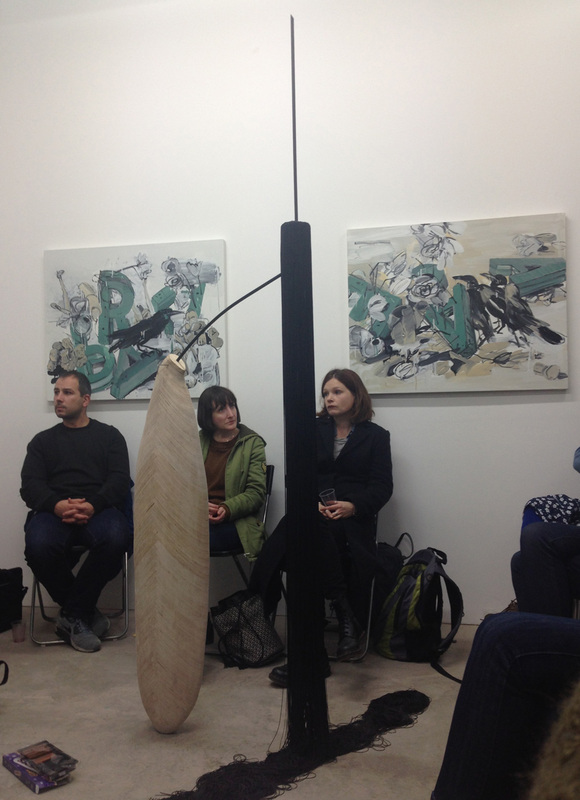 Susan Sluglett presented 4 paintings The Uninvited; Padam Padam Padam; The Orchard Thieves; Laughing at the Grass; and an assemblage Continental Shelf (outdoors). 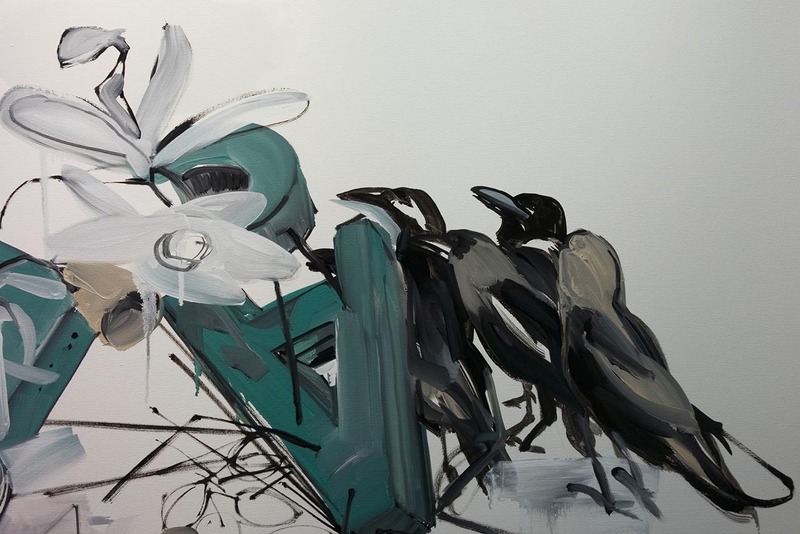 The conversation focussed on the artists' use of abstract gestural paintwork in combination with painted lettering, and figurative motifs, particularly crows. 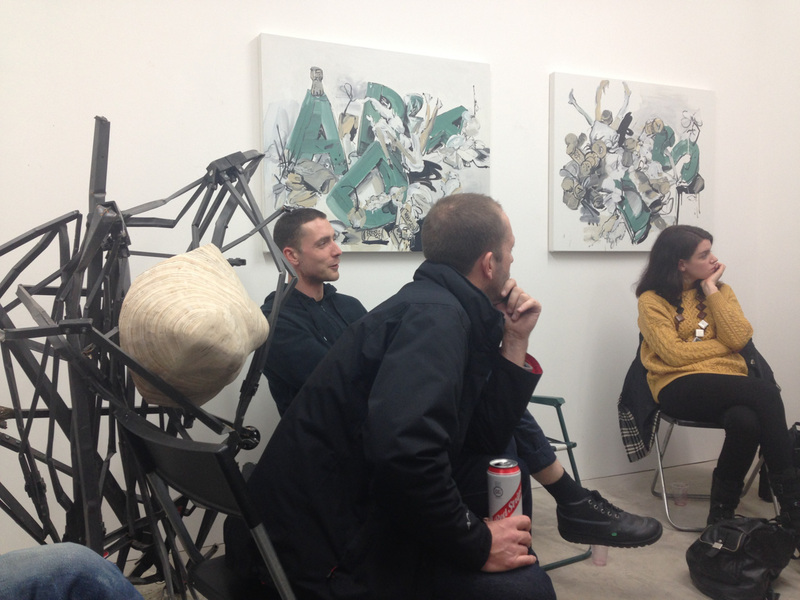 They were discussed in the context of romantic painting, and of contemporary horror (film) imagery.